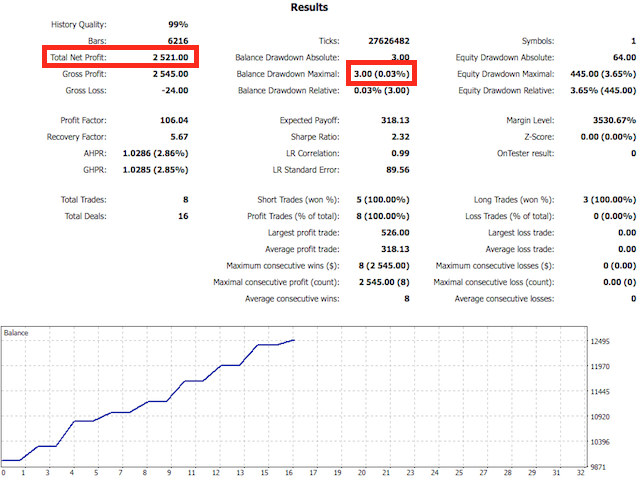 The DYJBands opens and closes positions using Bollinger Bands signals: It performs trades after a price rebound from the borderlines of the indicator. 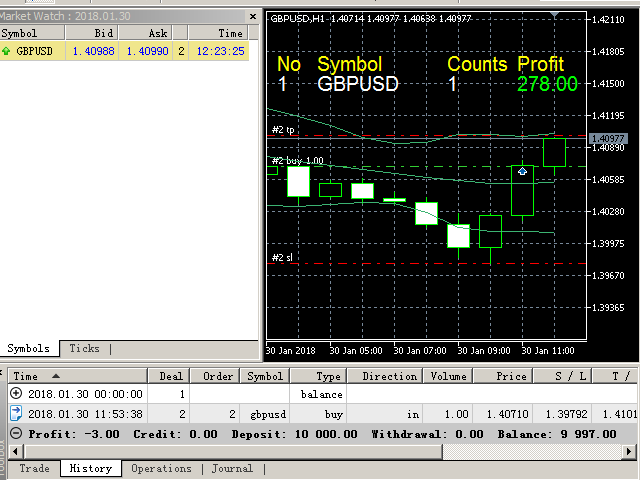 It has the option to close positions by an opposite signal, by take profit and stop loss, move a trade to breakeven upon reaching the central Bollinger band or after a certain price movement. 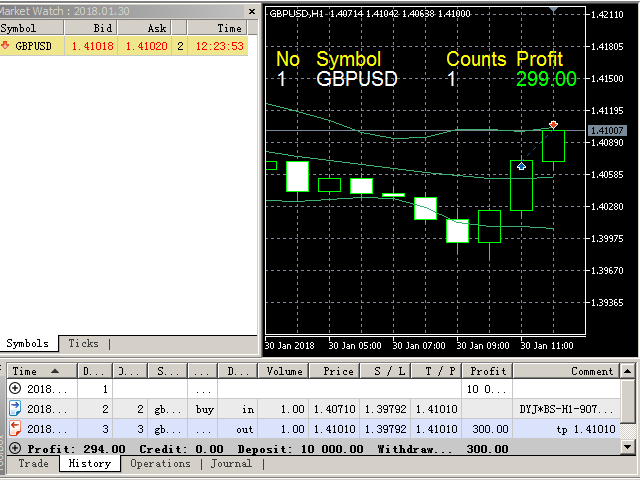 By default, the EA is configured for trading the GBPUSD currency pair on the H1 timeframe. 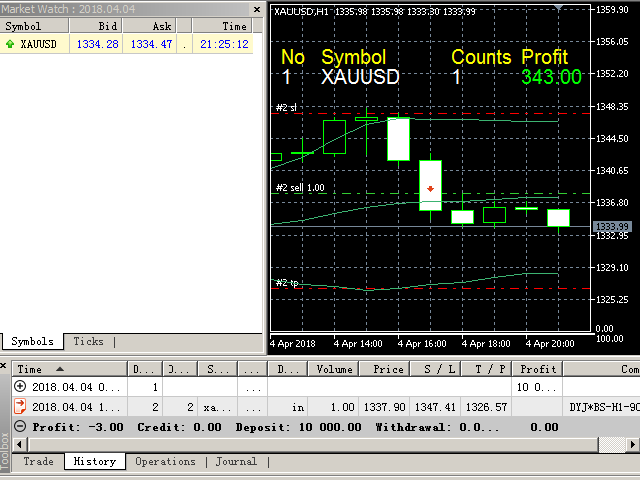 Also, settings for the EURUSD, USDJPY, USDCAD and XAUUSD currency pairs will be provided in the Comments section. 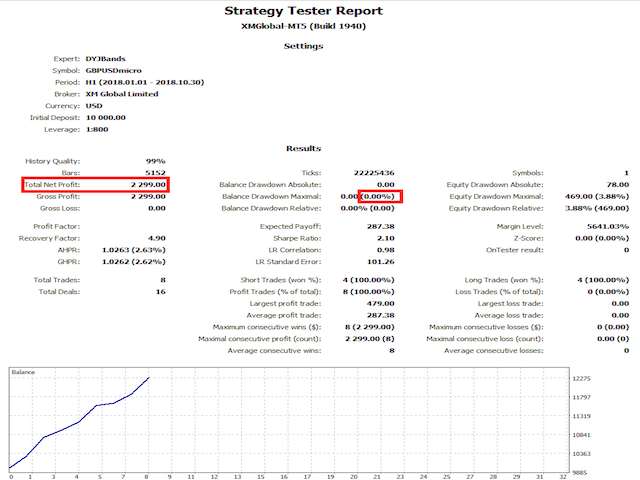 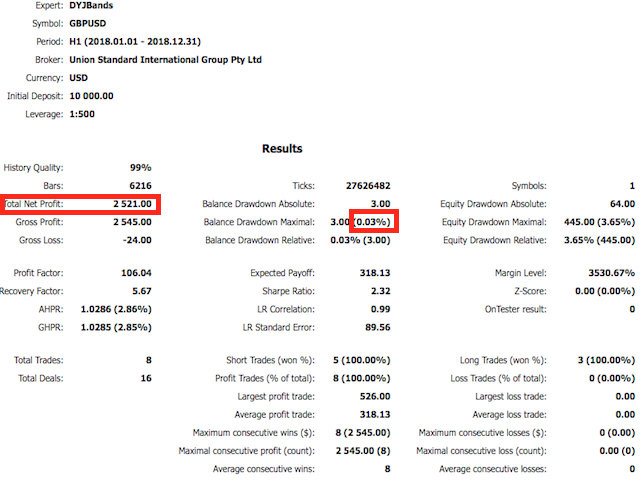 The Expert Advisor also features money management, traditional SL, TP and trailing stop. 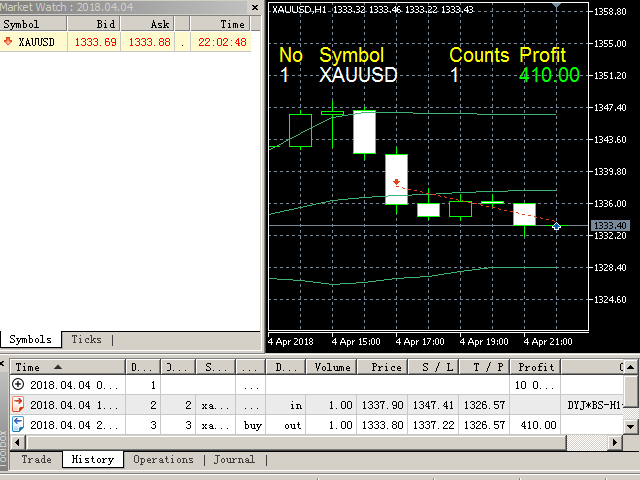 Only two orders are used for trading each instrument, which ensures maximum safety of trading.